The bridge that started it all. 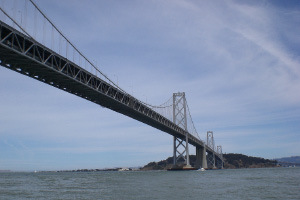 Some flimflam men will sell you this bridge for $20,000 or even $100,000, but at Rock Bottom Bridges you’ll get a price even a con artist couldn’t beat. Purchase this American icon from us and you’ll be glad you didn’t get bamboozled for more. A popular bridge for the history buff. Get railroaded by our low, low prices. On a budget? Well, walk yourself on over to bridge ownership. Don’t get hornswoggled out of this great opportunity! You’ll have to suspend your disbelief and hog-tie your cynicism! 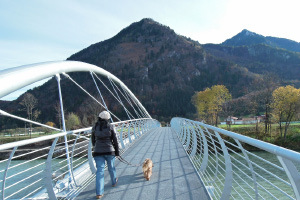 These bridges are a steal at twice the price. Bring the world a little closer by connecting people in Maryland with other people in Maryland. Due to infrastructure problems and the mounting national debt, the US Government is selling off bridges at an alarming rate. You can get a fixer upper bridge for rock bottom prices. But hurry these rock bottom prices won’t last for long! Now is the time to buy a bridge. 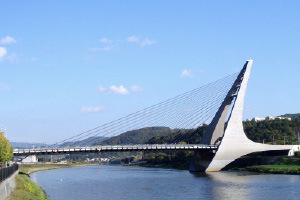 A bridge is an investment in the future. You could take all the toll money and roll around in it or hire a troll and exact revenge on some billy-goats/people you don’t like or buy all the bridges to an island and start your own country. With bridge ownership, the possibilities are endless. 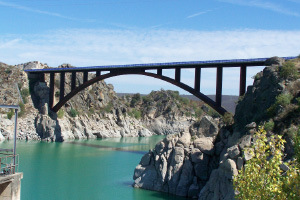 As a registered distributor with the BBB** we’ll sell you bridges of any and all types. We don’t restrict ourselves to a high level of quality, or seek out only bridges renowned for their structural integrity, or purchase any of the bridges we sell in the first place. Any bridge you’re interested in, we’ll sell it to you. **Bridge Buyers of Bollox Inc. 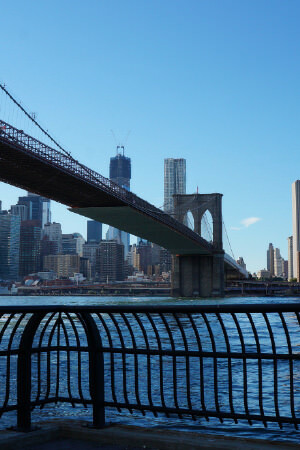 I had such a great experience I bought the Brooklyn Bridge three times! Paperwork delivery was fast, reliable, and completely legally sound. I now own 37 different US monuments. Thanks, Rock Bottom Bridges! The National Park Service is so jealous they’re taking me to court! It’s like the lottery without all the chance. When I told my kids their inheritance bought the Golden Gate Bridge, they wept!